You love it or not but it’s getting impossible for so many of us to send any message via mobile phone or social media without any emoji. As we express our feelings in the text by adding different emojis. According to a new report that emojis will begin to replace text as the key provider of content. The report also showed how the usage of emojis is increasing and approximately an estimated 95% of people online have used them. There are so many emojis that are available in the chat section and time to time we are getting new ones. The most popular emojis show plenty of faces, lots of hearts and a smattering of hand gestures. 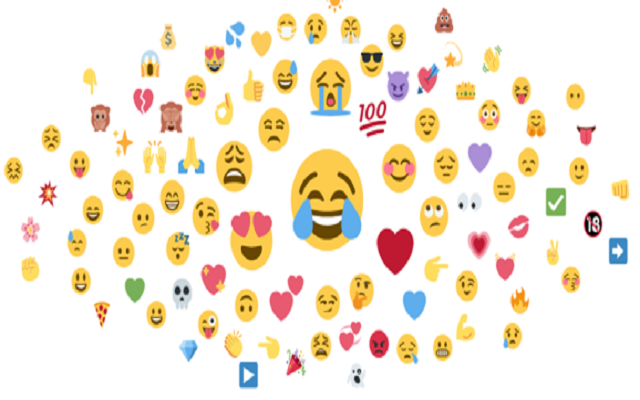 The smiling yellow faces, thumbs ups, and even the odd firework encourage us to use more these emojis and gives a pretty positive picture of our emotions. Almost 75% of our emoji use is positive. It has also been reported that in the morning the happy emojis usage is on the peak while in negative emoji use is most common in the evening. However, there is also a gender difference. Some emojis are commonly used by women while the types of emoji being used by men are different.